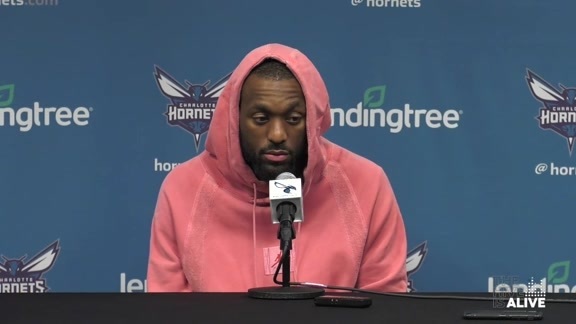 April 8, 2018 – The NBA announced today that Charlotte Hornets guard Kemba Walker has been named Eastern Conference Player of the Week for games played Monday, April 1 through Sunday, April 7, 2019. This is Walker’s seventh career Player of the Week, which is the most in franchise history. During the week Walker, who led the Hornets to a 3-1 record, ranked first in the NBA in points per game (34.8) and total points scored (139). He averaged 6.3 assists and 5.5 rebounds per game, and shot .500 percent from the field, .406 percent from the three-point line and .895 percent from the free-throw line during the week. Walker’s 47 points on April 1 gave Walker his sixth 40-point game of the season, which is tied for fifth-most in the NBA. With 32 points, seven assists and three rebounds against the Pelicans on April 3, Walker recorded his 26th 30-point game of the season, passing Glen Rice for the franchise record for 30-point games in a season. Walker scored 21 of his 32 points at New Orleans in the fourth quarter, making him the first player since Kobe Bryant in 2006 with consecutive 20-point fourth quarters after having notched 22 in the fourth at Utah on April 1 (via ESPN Stats and Info). Walker combined for 29 points and eight assists vs. Toronto on April 5, leading the Hornets to their first season series win over the Raptors since the 2013-14 season. 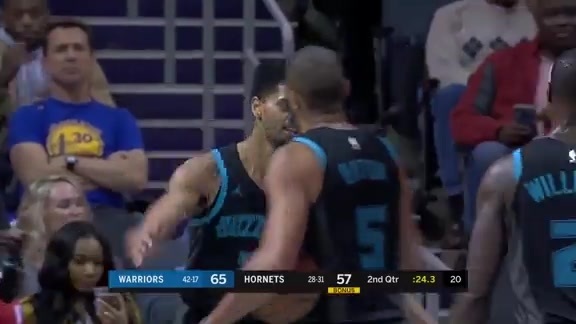 He tallied 31 points, eight rebounds and seven assists in the Hornets road win over the Pistons on April 7, tying Golden State’s Curry and Portland’s Lillard for the fifth-most 30-points games in the NBA this season. The three-time NBA All-Star set the franchise record for three-pointers made in a season when he made his 244th three-pointer at New Orleans on April 3. With his 250th made three-pointer at Detroit on April 7, Walker became only the ninth different player in NBA history to connect on 250+ threes in a season. Walker currently sits at 252 made three-pointers this season, good for fifth-most in the NBA and the most in the Eastern Conference. The all-time leading scorer in Hornets history, Walker, scored his 2,000th point of the season on April 5 vs. Toronto, making him only the second player in franchise history to score 2,000 points in a season (Glen Rice, 1996-97). Walker is one of only six players to score 2,000 points in the NBA this season.